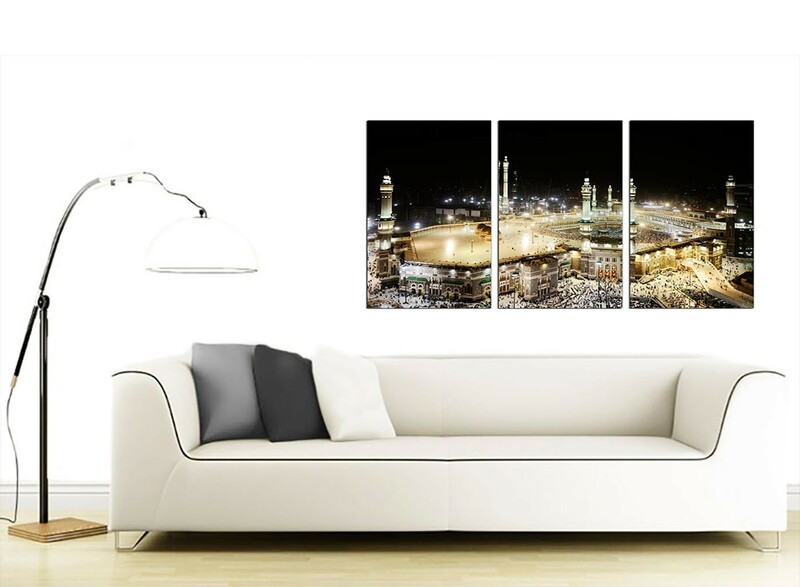 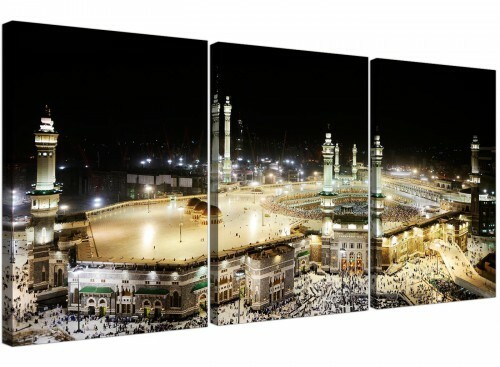 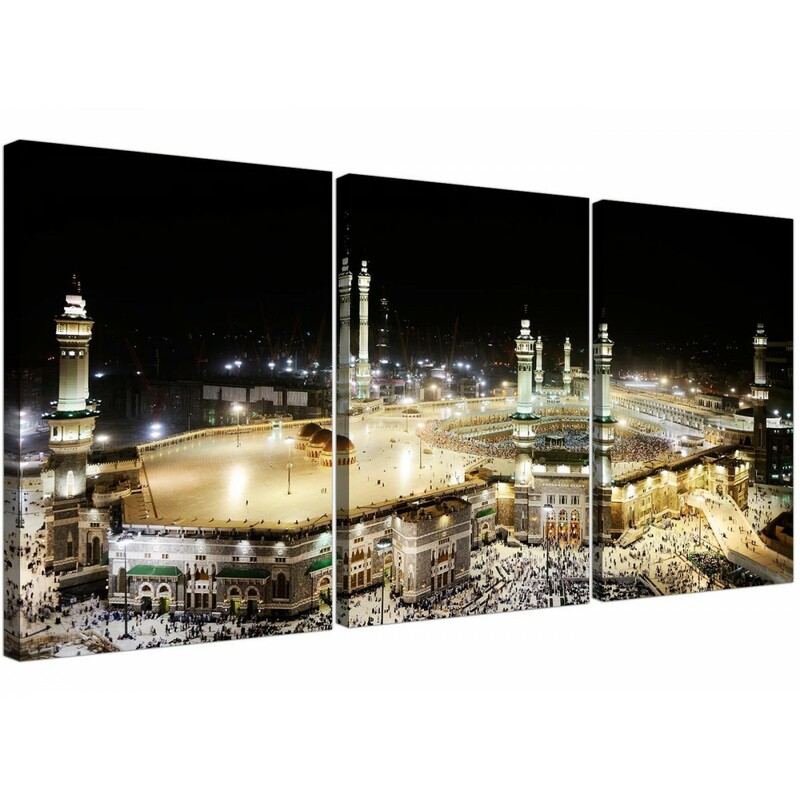 Inexpensive canvas pictures of Mecca and the Kaaba at night. Commemorate your own Hajj with our large canvases of Al-Masjid Al-Haram. 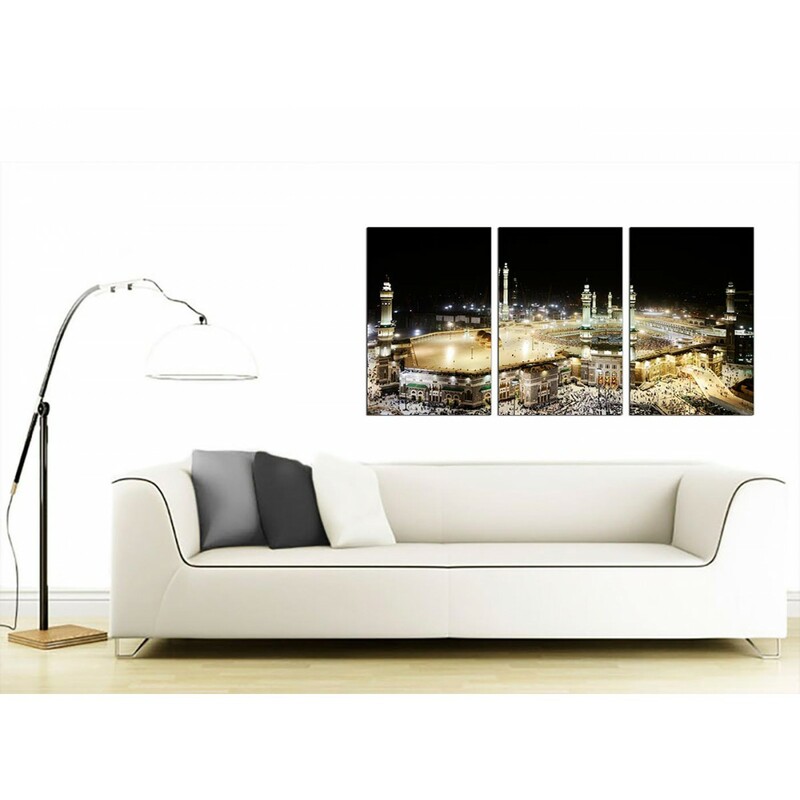 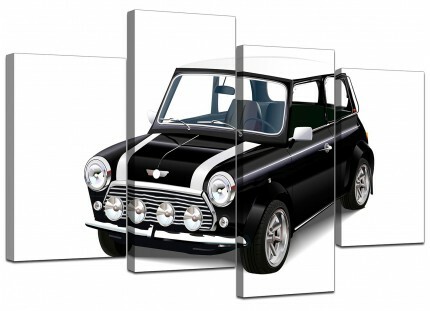 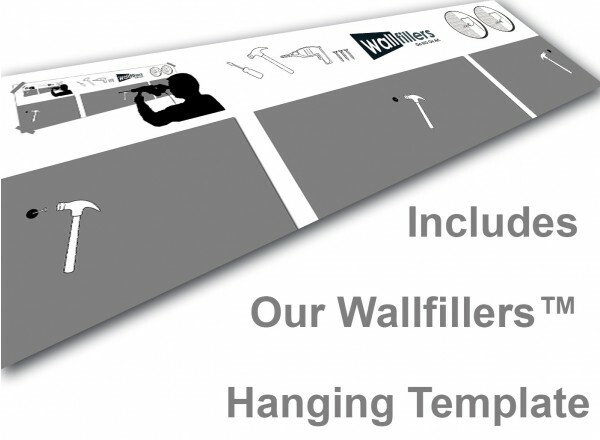 An extra large black & white with a splash of colour modern set of three panel canvas art prints. 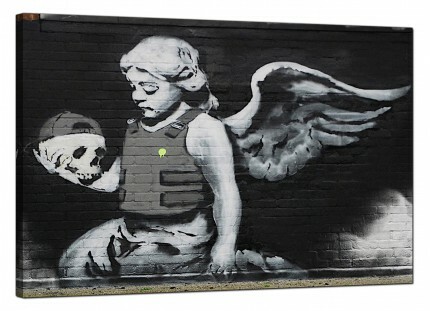 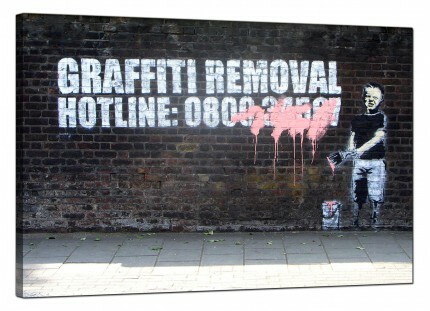 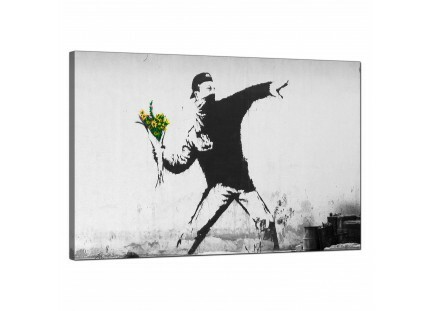 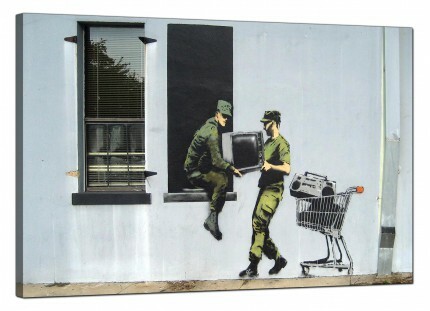 The United Kingdom's favourite canvas art brand. 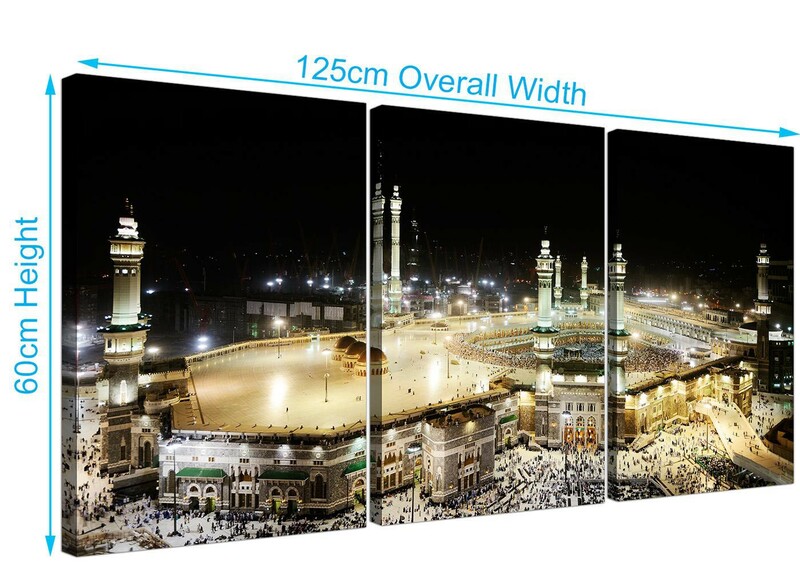 Dimensions: 125cm wide x 60cm high (49.2" x 23.6") inclusive of spaces. Each of the three panels are 40cm wide x 60cm high (16" x 24"). 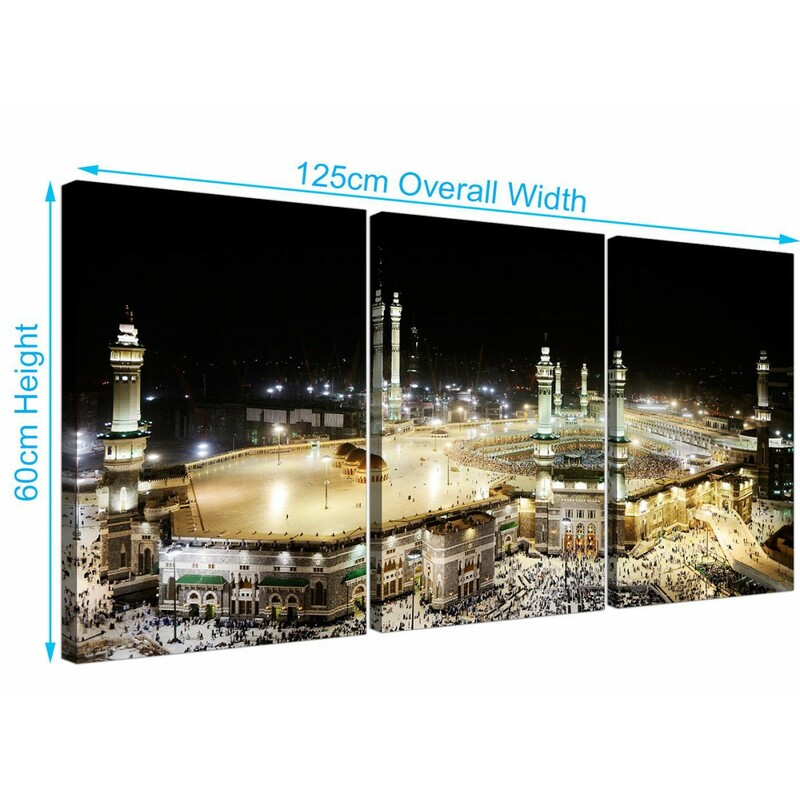 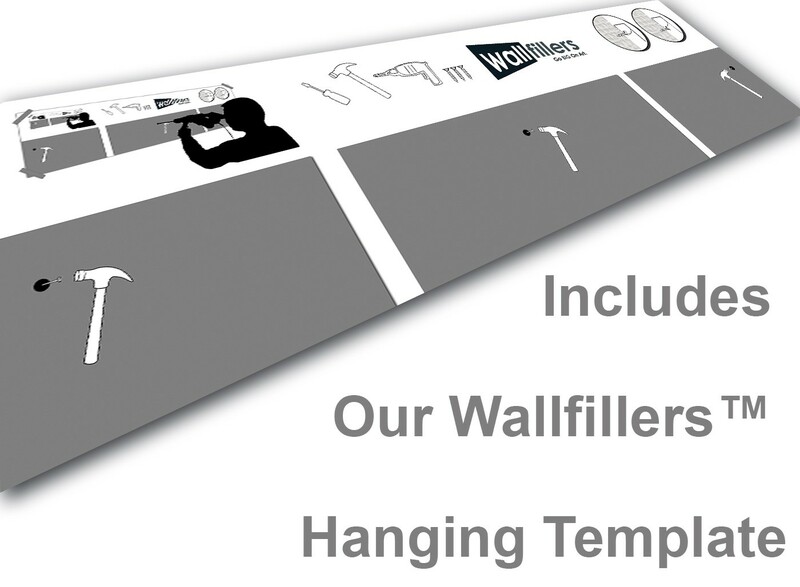 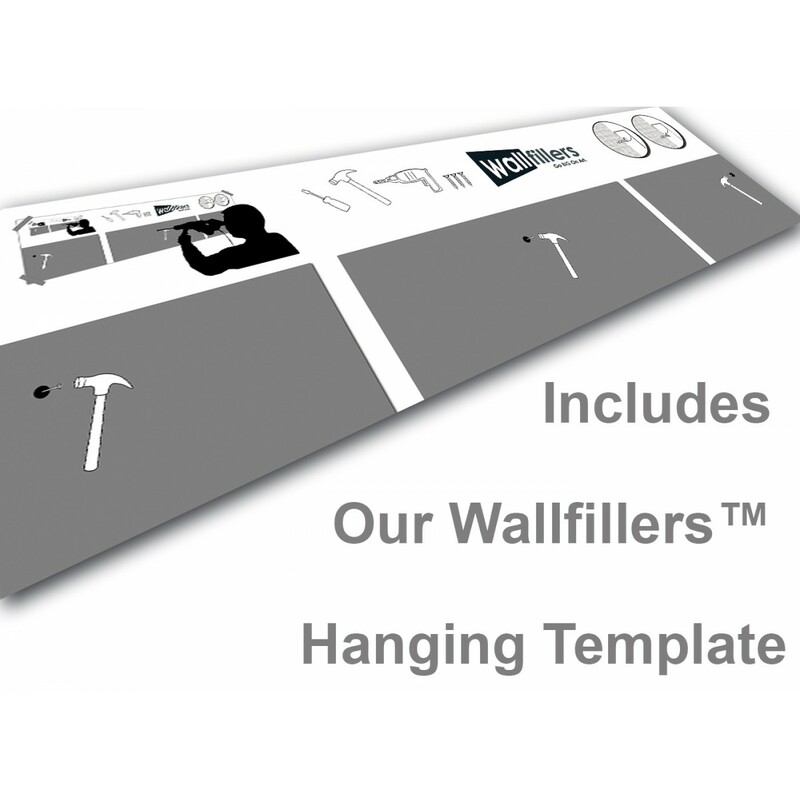 We recommend a gap of 2.5cm between each canvas.